Terracotta has been used as a building material for centuries. Terracotta is a popular material for planters. Ceramic roofing shingles can last for over a 100 years. Terracotta is a ceramic material that has been used for building construction and decorative arts since ancient times in cultures around the world. The name literally means "baked earth," is it made from natural clay, which gives it a characteristic reddish-brown color. The color varies slightly depending on the clay used. Terracotta may be glazed for extra durability or to provide color. It is a waterproof and very sturdy material, and many ancient sculptures made from it are still in excellent shape. This ceramic was widely used in the decorative arts of ancient China, perhaps most famously in the tomb soldiers of 2nd century BCE emperor Qin Shi Huangdi. Terracotta vases and other sculptures are known from ancient Egypt, the Mediterranean, the Middle East, West Africa, and Central and North America. Pipe made from it was also one of the oldest materials used in plumbing. Though terracotta largely fell out of use in Europe during the Middle Ages, its use in building and sculpture revived in the Renaissance, and it has remained an important material into the modern era. Construction methods improved over the ages, as terracotta was once baked in the sun, later dried among ashes in the oven, and finally kiln-fired. While it was used to make roof tiles and bricks in the ancient world, it became more versatile as a building material during the Renaissance, when it features in the ornate decorations of buildings in the newly developed Gothic style. Terracotta was also a popular material for artistic sculpture in the Renaissance. The Gothic revival style of architecture in the 19th century likewise made heavy use of terracotta, and the material became increasingly used for structural elements such as walls. Its durability and resistance to both fire and water make it an ideal building material. It is also lighter than stone, and modern methods allow it to be glazed in a wide variety of colors, including finishes that resemble stone or metal patina. Terracotta is a relatively inexpensive material, and glazing increases its durability and helps it retain its original look. Terracotta remains a popular material in the decorative arts as well, particularly pottery and sculpture. 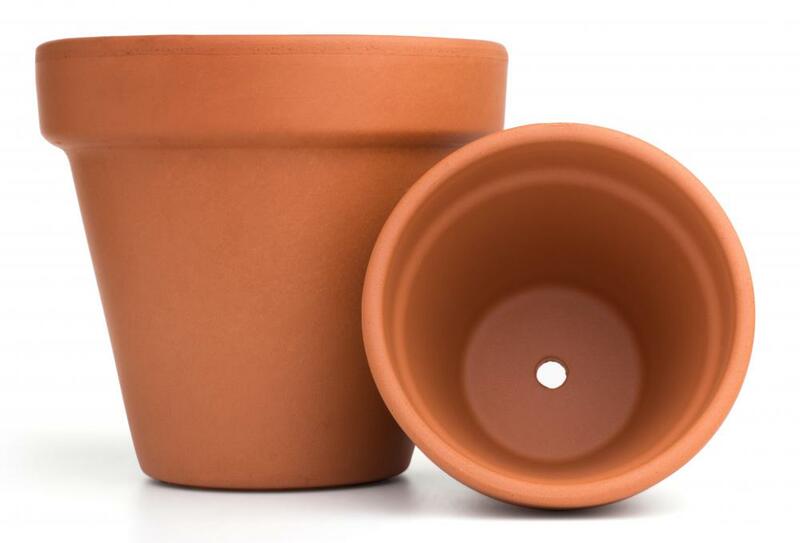 Unglazed, it is ideal for planters, as it is semi-permeable to air and water. It is also amenable to sculpting into rather elaborate designs. What are Some Foods Cooked in Clay Pots? What is a Clay Roaster? What is the Three Age-System of Classification for Human Prehistory? What is the Terracotta Army? Ancient terracotta vases that were an egg or egg-derived shape and unglazed were and are ideal for water containment and the building of homes because it is permeable. This allows the water in the containers and air in the home to breathe and continue to renew itself. Over the last century and a half, we have discovered wheat grain in 2000 year old Egyptian terracotta amphorae that still retains its ability to germinate. Therefore it wasn't just used because it was easy to procure but because it allows water and air to act in its natural way without destroying it and thereby creating bacterium. The wheat grain being a validation of this ancient technique. Mission tiles were not formed over one's thigh. That seems to be a legend. Since most roof tiles are 20-24" long, good luck finding a thigh that long -- especially of the native Americans. Terracotta fires at a lower temperature. It was developed earlier because it did not require the same advanced firing methods as stoneware and porcelain (which is just stoneware with all of the non-white ingredients removed). The reason it can be fired at a lower temperature is its high iron content. The iron melts early and assists the silica in melting and also gives the clay it's reddish color. 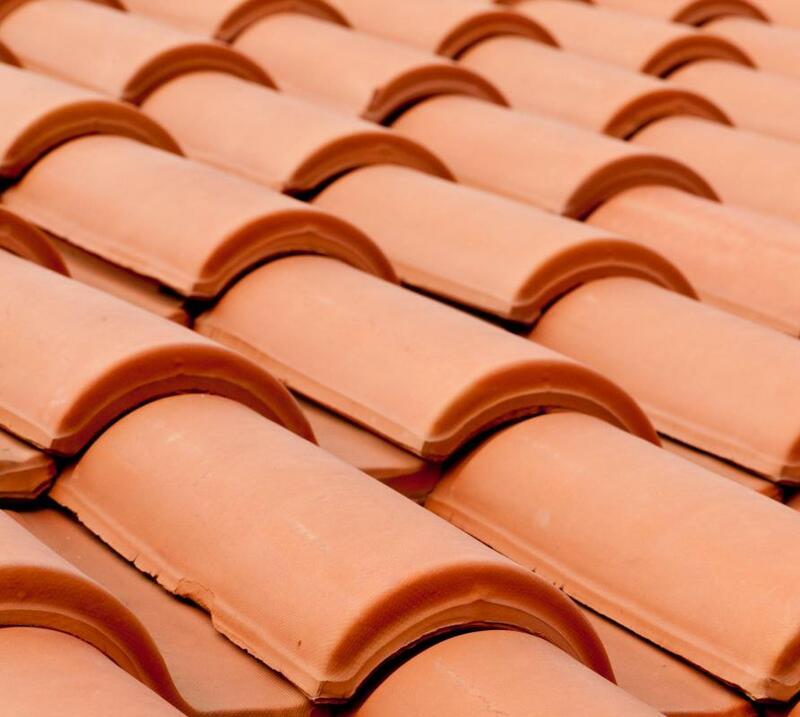 Oddly, wiseGEEK did not offer any explanation as to why terracotta tiles, when used as roofing material in the southwest united states, are curved. Typically, the curve radius approximates 1/4 to 1/3 cylinder. A curved terracotta shingle is stronger than a flat one, and individual tiles can be made to interlock with other tiles when inverted. The characteristic curve was formed by draping wet terracotta across one's thigh and patting it to its final curved shape. The finished product was then baked in the sun, or kiln-fired. This is the typical California "Spanish Mission" style of terracotta tile as used as roofing material. Most of the mission buildings, constructed over 200 years ago, still have their original terracotta roofing intact. Anon3570 - Terracotta is a type of clay. So terra cotta tiles are a subset of clay tiles. Actually terracotta tiles are ceramic tiles which are tiles made of red or terracotta clay. Porcelain tiles are tiles made from light colored clay (like white, grey, or light brown clay). 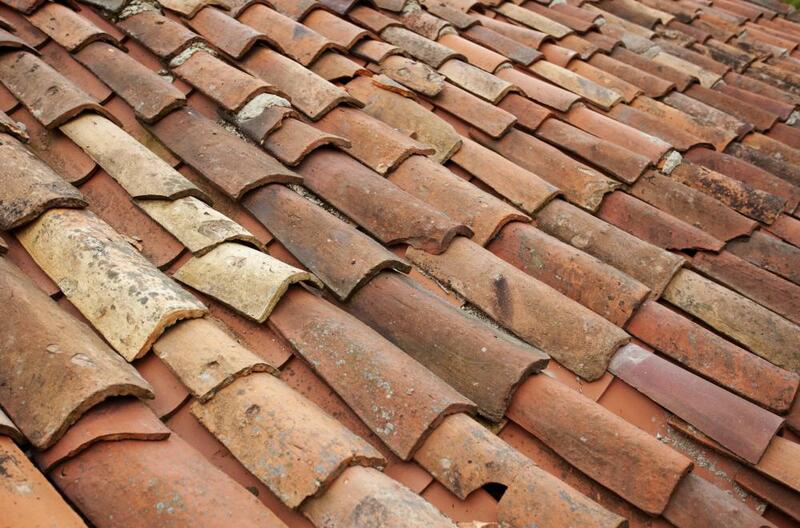 what is the difference between terracotta and clay tiles?